A civil servant, a Falklands veteran, an inclusive design expert, a festival director and two Paralympians are among disabled people recognised in the latest New Year’s Honours. Among those receiving MBEs is Margaret Hickish, Network Rail’s access and inclusion manager, who is responsible for 19 of Britain’s largest rail stations as well as the organisation’s depots, offices and training centres, and is recognised for services to disabled people. Hickish, who has a background in engineering, played a huge part in ensuring the accessibility of the London 2012 Olympic and Paralympic Games, and has worked in access and inclusion for more than 20 years. She began working as an access consultant with the consortiums that produced the London 2012 “masterplan” in early 2007, before later joining the Olympic Delivery Authority (ODA) as its accessibility manager. She said she was “absolutely delighted” with the MBE, which she believes recognises the way she has helped Network Rail change the way it looks at inclusive design, including a new inclusive design strategy and standards and a new emphasis on “putting people at the heart of the design process”. Hickish has introduced a built environment accessibility panel at Network Rail, of which three-quarters of its members are disabled people, a development she also championed at ODA. She said she hoped her MBE would help people treat the issue of inclusive design with a “bit more gravitas”. Mark Carne, Network Rail’s chief executive, said: “Over and above her role, Margaret has provided inspiration, encouragement and advice to colleagues who themselves have disabilities. Hickish is a member of the government’s Paralympic Legacy Advisory Group and a board member of the government’s Built Environment Professional Education project, and two years ago received an honorary fellowship from the Royal College of Art for her contribution to inclusive design. Bradley Hemmings, one of the two disabled artistic directors for the critically-praised opening ceremony for the London 2012 Paralympic Games, receives an MBE for services to culture and disability arts. Hemmings also directed the inaugural Paralympic heritage flame ceremony at Stoke Mandeville Stadium in 2014, which celebrated the Sochi Winter Paralympics. He is artistic director of Greenwich+Docklands International Festival (GDIF) in London, which he founded in 1996 and is now recognised as one of the leading outdoor arts festivals in Europe, and has produced the Mayor of London’s Liberty disability arts festival since its launch in 2003. He is proud, he said, of how GDIF – which is free – has been able to survive for 20 years and “carry its audience, who really support it”, while his work with Deaf and disabled artists over the last 15 years “has always been really important for me”. He said: “It is obviously a lovely moment to reflect and you think ‘that’s wonderful that’s been recognised’, but when you work in this world you’re always looking ahead to the challenges and the things you want to achieve next. Hemmings said that the recognition coming more than three years after London 2012 was “in a way really rather wonderful”, suggesting that he had been able to make a continuing contribution to “something that is going to carry on in the public realm with Deaf and disabled artists”. Jeanette Rosenberg, who chairs the Department for Business, Innovation and Skills’ (BIS) disability advisory group (DAG), and also chairs the Civil Service Disability Network (CSDN), receives an OBE. 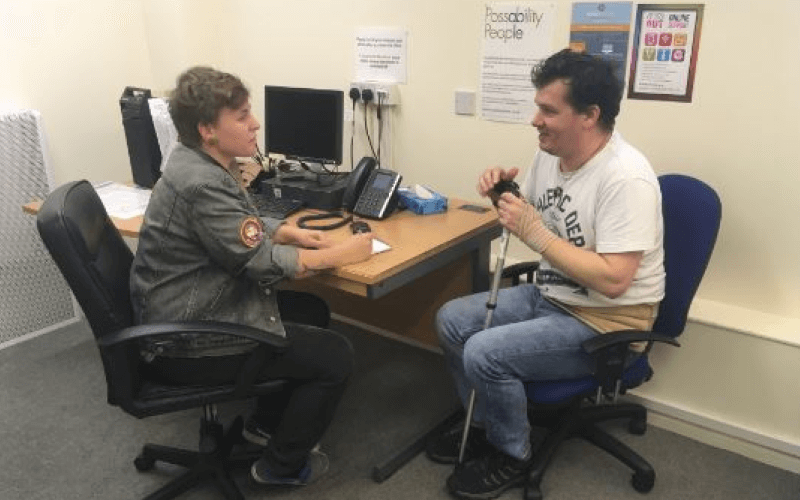 DAG develops responses to important issues for disabled BIS staff, and helps the department become more “disability confident”, while she herself helps individuals through general education and one-to-one mentoring. She has also set up 10 impairment-specific sub-groups to share good practice at BIS. CSDN provides advice and support on disability issues, suggesting ways in which the barriers faced by disabled civil servants can be addressed, and trying to increase the proportion of disabled people employed in the Civil Service. As chair of CSDN she is also “highly involved in influencing the development of Civil Service policy as it relates to disabled staff and carers”. She said: “I work closely with the Cabinet Office, the Civil Service disability champion and with other policy leads, offering them insight from the experience of the CSDN and of disabled staff on crucial and day-to-day disability issues. She added: “All of this is very important, as there is still a long way to go in the workplace to reach the point where everyone understands and accepts the need to take account of disability issues without being prompted. “I think that my honour is recognition of the way that CSDN and DAG have both developed under my leadership. She now hopes to use the award as a “springboard” to continue her work, and added: “I’m not about to stop doing things because I’ve been honoured with the OBE. I’m just not the sort of person to sit back and reflect on the past. Kate Nash, founder of PurpleSpace, which shares best practice by bringing together networks of disabled employees such as CSDN, praised Rosenberg’s work, and said: “PurpleSpace is indebted to Jeanette’s help and support to create the national network of employee networks. Simon Weston, a Falklands veteran who survived the attack on the Sir Galahad landing ship in 1982, but with burns to nearly half his body, receives a CBE for his charity work. Since the attack, and years of reconstructive surgery, he has been involved with many charities, has developed a career as a public speaker and television presenter, and as a fiction and non-fiction author, and has been a prominent supporter of the government’s Disability Confident employment campaign. He said on Twitter that he was “very humbled and flattered to receive this fantastic honour”. Rowena Macaulay, disability equality champion at the University of Essex and student support services officer in its sociology department, is another disabled person receiving an MBE. The wheelchair-user was a founder member of the university’s Essex Access Forum and is still its chair, and was responsible for launching projects that produced maps highlighting accessible routes around its Colchester campus. She is co-founder of Walk Colchester, which helps protect the town’s network of pathways and green open spaces, and promotes “enjoyable, accessible, informed pedestrianism for walkers of all ages and abilities”, and is also part of a project to create a 13.5 mile walking route around the town. In 2011, she launched a successful campaign to fund an all-terrain wheelchair at Colchester’s High Woods Country Park. Macaulay said: “What really interests me is the good design of public space – in urban areas and in the countryside – for all people. “I try to get away from thinking about disability as a specific category to provide for. “It’s true that gaps still remain at times between what equality law advocates and what happens in practice, and these gaps necessarily focus attention on rights. “But universal design should be a fundamental principle in the creation and management of all public space, and this isn’t about building add-ons to accommodate supposed minorities; it is about recognising and celebrating diversity as the norm. “I’m motivated by spaces that are beautiful and that work well for everybody, across user groups and across individual lifespans. 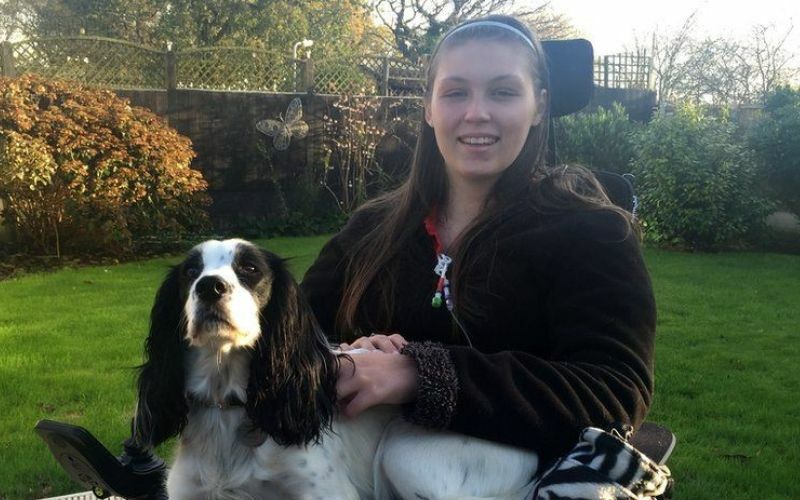 Campaigner, public speaker and blogger Lucy Watts (pictured) also receives an MBE – at the age of just 22 – for services to young disabled people. Watts has worked with a string of charities, including Together for Short Lives (a charity for children with life-threatening and life-limiting conditions), the International Children’s Palliative Care Network, the Pseudo Obstruction Research Trust, Dreams Come True and Scope. She has a life-limiting condition and has to spend much of her life in bed, and is “hooked up to intravenous drips nearly 24 hours a day”. But she also said the MBE “makes me even more determined to make a bigger difference in the future, to help as many people as possible and continue to grow my work”. She said the award partly recognised her work to “open the eyes of advisers to the government, of Department of Health officials, of commissioners, MPs and policy-makers to the needs of young people and to help them to make sure their decisions and policies will benefit young people and what we as young people want from the services that support us”. She said she hoped it would “open many doors” and help her broaden her work to “show the general public not to underestimate the abilities and potential of a child, young person or adult with an illness or disability”, while also bringing “fantastic attention to the charities I work with and for the causes I champion”. And she said she also hoped the MBE would “show others with illnesses and disabilities that they can still achieve and have a life, that they can contribute to this world with the right support, with hard work and determination”, and would show them that “disability does not mean you’ll never achieve anything”. Two Paralympians have been recognised with MBEs. Paralympic thrower Stephen Miller, who has competed in five Paralympic Games, was swamped with messages of support on Twitter after his MBE was announced, among them congratulations from Match of the Day pundit and former England striker Alan Shearer and sports presenter Clare Balding. Miller, who is set to compete in his sixth Paralympics in Rio this summer, said on Twitter that he was “so proud” of the award and “overwhelmed” by the messages. The triple Paralympic champion added: “This means as much for my family and friends and all the people who have supported me over the years. Diane McMillan (formerly Barr), from Northern Ireland, won six medals, including two golds, at the Seoul and Barcelona Paralympic Games, in 1988 and 1992, and is recognised with an MBE for services to swimming and disability awareness. Among other disabled recipients of MBEs is Ailsa Bosworth, chief executive of the National Rheumatoid Arthritis Society, who founded the charity – which she sees as a “one-stop shop for people living with the disease” – in 2001 following her own struggle to secure treatment, information and support. She said: “I am delighted, it came totally out of the blue. It is really a reflection on my team. I couldn’t do without their passion and support. Another to receive an MBE is John Howe, for services to the charity Diabetes UK and his local community in Trafford, Manchester. Howe is chair of Trafford Diabetes Support Group, and is a member of several health-related panels in the Manchester area. Access expert Mike Elkerton, chief executive of the consultancy Access and Evacu8 and chair of the north-west branch of the Access Association, is also awarded an MBE (see separate story).